As Suge Knight built Death Row into a West Coast juggernaut, Knight’s fearsome reputation grew. Knight wanted more than hit records. He wanted to dominate the industry, making moves to open a Death Row office in New York in conjunction with hip-hop heavyweight Eric B., and talking of forming a Black-owned national distribution company. So when Def Jam A&R chief Chris Lighty scooped up a stray artist left to languish on Death Row’s back bench—Dr. 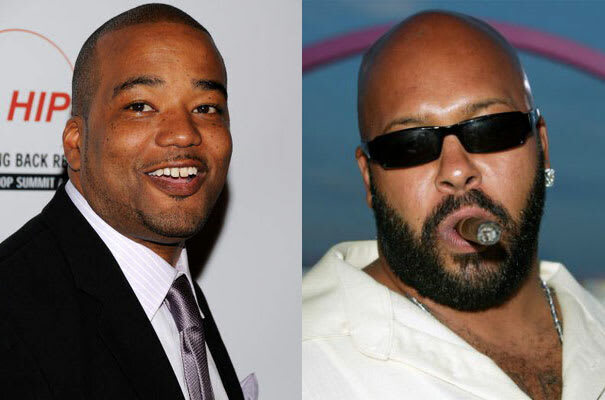 Dre’s step-brother ,Warren G—Suge Knight made his displeasure known. Def Jam had infringed on his territory, and Knight wanted to teach Def Jam CEO, Lyor Cohen, a lesson. The confrontation came to a head one night at a De La Soul concert in Los Angeles, when Knight made his way to have a “discussion” with Cohen. Lighty—himself no stranger to thuggery as an alumnus of a group of young troublemakers called the Violators—placed himself between Knight and Cohen and stood his ground. In the tense faceoff, Lighty’s accomplice brandished a weapon, and Lighty warned Eric B., “You need to tell him about us, because you’ve got to come home.” Knight backed off. And when Knight took revenge by withholding Death Row artist Nate Dogg from a Warren G video shoot, Lighty strode right into Knight’s inner sanctum (Death Row’s offices) and politely made a case for Knight to change his mind. Lighty did more that day than win Knight’s respect. He set the stage for the triumph of business over bullets. It would, alas, take several more years and the death of two beloved hip-hop icons before the change manifested. But the future of the hip-hop business would ultimately belong to businessmen like Chris Lighty and Lyor Cohen, not to Knight and his ilk.